Currently, six cellular mobile phone companies are operating in pakistan namely, InstaPhone, Paktel(Zong), Mobilink, Ufone, Al-Warid and Telenor. All the cellular mobile phone service providers work under the executive control of Pakistan Telecommunication Authority (PTA) through its Mobile Policy. It initiates new access code for each cellular service provider if it reaches the limit of 5 million subscribers. PTA keeps a visionary watch on the services of the cellular mobile phone service providers to ensure quality services and prevent those providing bad services to the subscribers. If any service provider is not up to the mark in terms of connectivity, voice quality etc…, it is charged for by heavy fine according to the rules and regulations. A brief description of each of these cellular mobile service providers is given below. § INSTAPHO is the first cellular service provider company which started its operations in Pakistan. It was established in 1990 and started its operations on September 1990. Currently, InstaPhone is providing its services with CDMA Technology. From the inception, InstaPhone network had been using Analog Mobile Phone System (AMPS) Technology but, with the advancement in technology it converted its networks to D-MPS Technology which is also referred to as Time Division Multiple Access (TDMA) Technology. Paktel is the second cellular service provider company in Pakistan. It was established in 1992 and started its operations in the end 1992. It was set up by cable & wireless and carried out AMPS services until 2004. Later on the company launched GSM services as well. Currently Paktel is providing its services with both Analog Mobile Phone System (AMPS) and Global System for Mobile Communication (GSM) based technologies.It has no GPRS and MMS services. Mobilink is the third cellular service provider in Pakistan. It is the subsidiary of ORASCOM telecom. It was established in 1994 and started its operation in early 1994.Mobilink is the first GSM (Global System for Mobile communication) cellular based network of Pakistan. Prior to this, other companies namely InstaPhone and Paktel were using AMPS technology for mobile communication. GSM technology provides higher capacity for data transfer than AMPS technology, and is based on SIM technology. Mobilink, came into the market and became very popular among the users because it was the first SIM based GSM network. Ufone-PTML (Pakistan Telecom Mobile Limited) is the fourth cellular service provider in Pakistan. Ufone network was established in January 2001.Ufone network also uses state of the art SIM based GSM technologY. Warid Telecom is the fifth cellular service provider in Pakistan.Al-Warid network uses state of the art SIM based GSM technology.Warid telecom is providing services like GPRS for internet access, SMS, MMS, and International roaming with very competitive prices to its customers. Besides these, it is also providing free roaming throughout Pakistan, free SMS via internet and the newly introduced 30 second billing system for the first time in Pakistan. Before you read on further, read the working of 4 wire resistive touch screen. This post is for the newbies; technicalities will be addressed later. It is always better to use a dedicated controller for touch screens, instead of designing your own. The best option according to me is to use one of the product of MAXIM, MXB7843. MXB7843 is controller dedicated for 4 wire resistive touch screens. 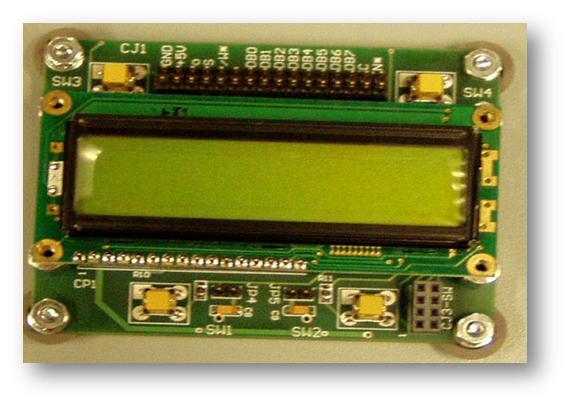 It has a configurable ADC of 8/12 bit resolution. Overall pictorial representation says that to interface a 4 wire resistive touch screen, what you have to have a microcontroller apart from touch screen controller and a touch screen itself. 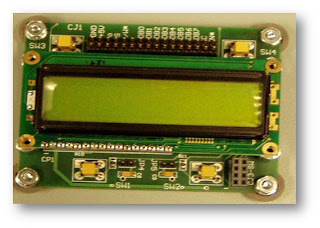 Touch Screen is directly connected to the microcontroller. The microcontroller which is controlling all the affairs gets the coordinates of the touch screen, whenever it is interrupted, via SPI communication. SPI communication is used for high speed synchronous communication. Once the data is received in 8 or 12 bit format, you can play around as you desired. where Ap and As are passband and stopband attenuations in dB and wsp is the prototype stopband edge frequency of digital filter and wpp is the prototype passband edge frequency i-e cutoff of frequency of the digital filter to be designed. You may calculate from the above formula but as far as designing of the problems for student is concerned, it may take a long time to take correct values out of the calculator. There you need an easy interface to get your work done. This assignment was given to us by our Professor, S K Hasnain who is the author of two books on Signals and Systems and Digital Signal Processing. Below you can download the M-File and Fig File. But if you dont have the basic idea about Graphical User Interface, see how to make a simple calculator in MATLAB GUI. Why do we need Multiplexing technique? In communication, under the simplest conditions, a medium can carry only one signal at any moment in time.For multiple signals to share one medium, the medium must somehow be divided, giving each signal a portion of the total bandwidth. This is where the concept of Multiplexing comes! Multiplexing means “sharing a medium”. It is a form of data transmission in which one communication channel carries several transmissions at the same time. In simple words, the method of dividing a single channel into many channels so that a number of independent signals may be transmitted on it is known as Multiplexing. In FDM the available bandwidth is divided into a number of smaller independent logical channels with each channel having a small bandwidth. It assigns “frequency ranges” to each “user” or “signal” on a medium. Thus, all signals are transmitted at the same time, each using different frequencies.The method of using a number of carrier frequencies, each of which is modulated by an independent signal is in fact frequency division multiplexing. In TDM, sharing is accomplished by dividing available “transmission time” on a medium/channel among users. Each user of the channel is allotted a small time interval during which he transmits a message. Total time available in the channel is divided, and each user is allocated a time slice. In TDM, users send message sequentially one after another. Each user can use the full channel bandwidth during the period he has control over the channel. The term Multiplexing means "sharing of a resource/medium" .Resource could be time, frequency, space or any physical medium .Multiplexer is a communication device that multiplexes (combines) several signals for transmission over a single medium. In more simple words, Multiplexer also called as Mux is a device that selects one of several analog or digital input signals and forwards the selected input into a single line.A multiplexer of 2^n inputs has n select lines, which are used to select which input line to send to the output. A device that performs the reverse process is called a Demultiplexer (DEMUX). Follow the following simple steps to download a big collection of e-books, of every field! 4-Click on "Request download ticket"
5-and last, click on "Download "
Environmental interference and physical defects in the communication medium can cause random bit errors during data transmission. Channel coding also known as Error coding is a method of detecting and correcting these errors to ensure that information is transferred from its source to its destination reliably. The idea behind channel coding is, to make the data more secure and error free. Channel Coding is done to ensure that the signal transmitted is recovered with very low probability of error at the destination. You can think channel coding as a “Security guard” for data . What happens If Channel coding is not used? If data is transmitted without channel coding ,and an error occurs in data , the receiver will inform the transmitter that an error has occurred in data, therefore transmit it again.Transmitter will have to retransmit the whole data ! A question may arise in your mind that, incase of error, data will be retransmitted so, what’s the need of using channel coding? The reason is, if transmitter retransmits the whole data definitely there will be wasteage of power,and delay in communication. Therefore to avoid these factors it is necessary to implement channel coding. In channel coding extra bits are added along with actual data bits. These extra bits are termed as “Redundant bits” because they actually cause redundancy in data. They ensure minimal or no error. Error coding uses mathematical formulas to encode data bits at the transmitter or source into longer bits for transmission. The "coded data " is then decoded at the destination to retrieve the information. These bits help the the destination or receiver to determine if the communication medium introduced errors, if yes correct them so that the data need not be retransmitted. Error coding is used in satellite and deep space communications, network communications, cellular telephone networks, magnetic and optical data storage media, and almost any other form of digital data communication. What is Bit Error Rate ? When data is transmitted to its destination over a communication channel there is a possibility of errors being introduced into the the data. In digital communication performance of the system is assessed by a term called as bit error rate, BER. BER is also known by the term Probability of Error. In simple words, it is actually the ratio of number of bits in error to the total number of bits transmitted. The number of bit errors (the underlined bits) is in this case 3. The BER is 3 incorrect bits divided by 10 transmittedbits, resulting in a BER of 0.3 or 30%. Uptill now, we have discussed the basic concepts of digital modulation techniques.Let’s move one step ahead! It refers to the number of states used in modulation,or the number of symbols.If M=2 it means two distinct states are being used in modulation. States could be different frequencies, amplitudes, or phase angles.If M is represented in power of ‘2’, that shows the number of bits per symbol. As PSK is phase modulation ,therefore the number of states actually refer to distinct Phase angles.These phase angles are used to modulate the carrier. So.’S0’ will b represented by 0 degree and ‘S1’ will be represented by 180(phase difference of 180 between symbols).That is, if 0 bit appears in signal, it will modulate the carrier wave with 0 degree, and 1 bit will modulate the carrier with 180 deg phase. As we have the following symbols ,S0=00,s1=01,s2=10,s4=11.So, if 00 bits appear in signal, they will modulate the carrier wave with 0 degree,01 will modulate the carrier with 90 deg phase.10 will modulate the carrier with 135 deg n 11 will modulate it with 180 deg. So, 000 bits will indicate 0 degree phase shift ,001 will represent 90 deg phase.010 will modulate the carrier with 135 deg ,0 11 will refer to 180 deg, n so on . Similarly, for M-FSK, M frequencies are used to modulate a carrier and for M-ASK , M amplitude levels will be used. In FDM system, signals from multiple users/transmitters are transmitted simultaneously (at the same time slot) over multiple frequencies. That is each user is assigned a different frequency for communication. Each frequency range is called as sub-carrier, n it is modulated separately by different data stream, that is there are different sources of data (users/transmitters) for each subcarrier frequency. A spacing (guard band) is placed between sub-carriers to avoid signal overlap. Like FDM, OFDM also uses multiple sub-carriers but the sub-carriers are closely spaced to each other without causing interference, removing guard bands between adjacent sub-carriers. This is possible because the frequencies (sub-carriers) are orthogonal. In OFDM multiple subcarriers are modulated by single source of data. If I am a transmitter, n using OFDM technique, my data will be modulated by multiple subcarrier frequencies , instead of single carrier frequency ,as it happens in normal modulation .if I assume that 3 subcarriers are being used for modulation so, they will modulate the data of just one Transmitter ,unlike FDM where 3 frequencies will b used to modulate three different sources of data (three transmitters). Like OFDM, OFDMA employs multiple closely spaced sub-carriers, but the sub-carriers are further divided into groups of sub-carriers. Each group is named a sub-channel, different colors in figure show a different sub channel. The sub-carriers that form a sub-channel need not be adjacent. Sub-channels actually used for multiple access (multi users communication). Each sub-channel consists of multiple carrier frequencies. For instance I have two sub-channels, S1 n S2. S1 has carrier frequencies f1 ,f2,f3, and S2 has carrier frequencies, f4,f5, n f6 . sub-channel 1 will b used to entertain one user/transmitter and sub-channel 2 will b used by another user/transmitter. In previous post we started about basic digital modulation techniques,ASK,PSK and FSK.Let’s look at another digital modulation technique called as QAM [Quadrature Amplitude Modulation],which is actually a combination of ASK and PSK . QAM is the combination of Amplitude modulation and Phase modulation. More technically, QAM is a system of modulation in which data or signal is transferred by modulating the amplitude of two separate carrier waves, mostly sinusoidal, which are out of phase by 90 degrees (sine and cosine). The modulated carriers are then summed, and the resulting signal is a combination of both phase shift keying (PSK) and amplitude shift keying (ASK). Keep in mind that,the term Quadrature refers to their phase difference of 90 degrees. As Sine and Cosine are 90 degree out of phase. All of these techniques vary the parameter of a sinosoid to represent the information we wish to transmit. A sinusoid has three parameters that can be varied, these are amplitude ,phase and frequency. In FSK we change the frequency in response to information. One particular frequency for ‘1’ and another frequency for ‘0’. In PSK, we change the phase of carrier signal to indicate information. Initialize the SPBRG register for the appropriate baud rate. In the case high speed baud rate is rquired, set bit BRGH. Dont forget to enable the asynchronous serial port by clearing bit SYNC and setting bit SPEN. For interrupt based transmission enable bit TXIE. For 9-bit transmission is desired, then set transmit bit TX9. Enable the transmission by setting bit TXEN, which will also set bit TXIF. If 9-bit transmission is selected, the ninth bit should be loaded in bit TX9D. Load data to the TXREG register (starts transmission). It is to be noted, transmission starts immediately after TXREG is loaded. If using interrupts, ensure that GIE bit and PEIE bit (bits 7 and 6 of the INTCON register) are set. Keep the high frequency signals tracks separate from the other signals. Keep the Ground track as short as possible. Do not turn the route at 90o. Put RBIAS resistor as close as possible to pin. Report available only for educational purpose. ‘DATA ACQUISITION SYSTEM’ is a system in which we have considered a scenario of a ship’s bridge in which different consoles are getting different data which is then manipulated and used accordingly. Our plan was to develop such a prototype system which would be getting data from different sensors simultaneously. The data is then stored in SDHC card which is being used first time in PNEC. GUI has also been made which would be showing different graphs of different data of different time. We have made GUI in C sharp which is also not very common here. We got so many hindrances in its making but with continuous efforts and some guideline from Mr Sajid from IIEE university helped us a lot to accomplish this task. Our aim of the project is to design such a digital system which would be having multiple inputs and the data coming from these inputs is stored in the SDHC card (of huge memory). Once the data is stored in this memory card then it can be retrieved as well in form of graph. For this specific purpose we have made a GUI (graphical user interface) which made the data display in a required manner. Once the ship is in the sea, it needs to keep the record of different data coming from different sensors. For this purpose ship’s log is to be maintained, which is keeping the data of different time. These all are in physical form and also done manually, which is quite time taking. In any case of emergency it can be burnt or misplaced as well and can cause a lot of trouble at the time of requirement. Normally, data acquisition and then keeping it for further use is also very much necessary almost in every part of field. Industries which are of critical nature or performing continuous processes at fields may require data storing as well. So, keeping this scenario in mind we tried to advance this system with the help of some reliable sources. Here our idea is to design such a prototype system in which different sensors are installed and the digital data is being stored in SDHC card, then using serial communication it is connected with computer. GUI has also been made through which data of any installed sensor can be extracted and seen. This system is keeping the record of different sensors at the same time and can be used at any time in future for further use. Mobile phone in Pakistan has rapidly grown in to a commodity that everyone likes to possess. From the very beginning, the setup of mobile networks in Pakistan has been decentralized due to the reluctance of the government based telecommunication set up to step into this field. The other network phenomenon has been a serious hinge in the economical use of the mobile phone .This very problem has provided the motivation for this project. This has led to the design of a smart device which does the hard work for the user that it automatically selects the same network SIM which you are going to call. This results in the feasibility that you don’t have to physically replace the SIM leading to the economical conservation because when so ever an individual is making a cal, he does it within the network without manually doing it. As the name indicates this project is aimed to provide communication at low cost. It will provide communication between the similar networks thus saving the other network call charges, for example if user wants to call a ufone number this device will direct this call via ufone connection. This is just the beginning and our attempt is quite humble in this regard. But the efforts put in this regard may prove to be a solid base for the future work to be carried out in this domain. Scientific advancements in the field of telecommunication are by leaps and bounds and this project is a chain to that.